Sustainable and effective ingredients are key in aquaculture today. Challenges are that feed raw materials can fluctuate in price, quality and availability. But adding QRILL Aqua to the diet, provides opportunities to feed producers as they reduce or exclude some of these ingredients. Shrimp health and growth is closely related to the diet. Shrimp have no capacity to make long-chain omega-3s and phospholipids, meaning that they need to be included in the feed. QRILL Aqua, which contains omega-3s in phospholipid form, improves omega-3 content in shrimp, which promotes normal development, resistance and survival. 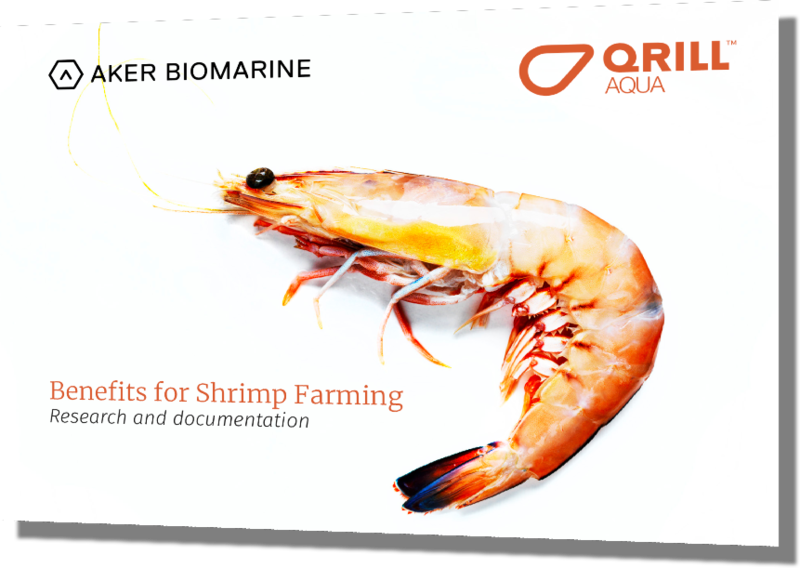 Aker BioMarine is continuously engaging with our feed partners, their shrimp farmers, and independent research groups to document the beneficial effects of our Antarctic krill feed products. The results include studies that highlight advantages of incorporating QRILL Aqua in shrimp diets. QRILL Aqua acts by stimulating feed intake, which accelerates growth and improves feed efficiency in marine shrimp. The beauty is that it works well under low inclusions, and because of its unique composition nutritionists can take advantage by sparing some costly ingredients.